Request And Pay For DC Cabs From Your Smartphone With Hitch! 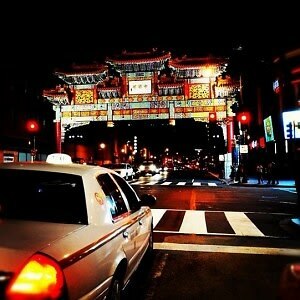 DC-based start-up, Hitch!, announced the release of a new application that allows consumers to request and pay for DC taxicab rides from their iPhone or Android. After downloading and registering the application to an iPhone or Android, a screen will show a map and all of the taxicabs in the area. Request a cab by pinpointing the exact location on a map within the application, and the nearest available cab will turn red on the map and approach the location. The taxi driver, running the Hitch! Driver app, runs the meter, and enters the final fare in the driver app at the final destination. Hitch! will automatically add 30% to the fare to cover the driver’s tip, Hitch! fees, and credit card processing fees, resulting in a cashless and cardless transaction. So, if your meter reads $10, you will be charged $13, which covers all fees and the driver's tip. Hitch! comes to DC as the city’s taxicab commission undergoes heavy reform, but the app is fully functioning, legal, and well-received by the taxicab community. Credit card information must be entered into the app before a call can be requested. All credit card transactions are securely processed. All completed rides trigger an emailed receipt, and are then added to the user’s ride history log. The detailed post-ride receipts also make it easy to track down your keys, phones, or other valuables should you accidentally leave them in your cab.